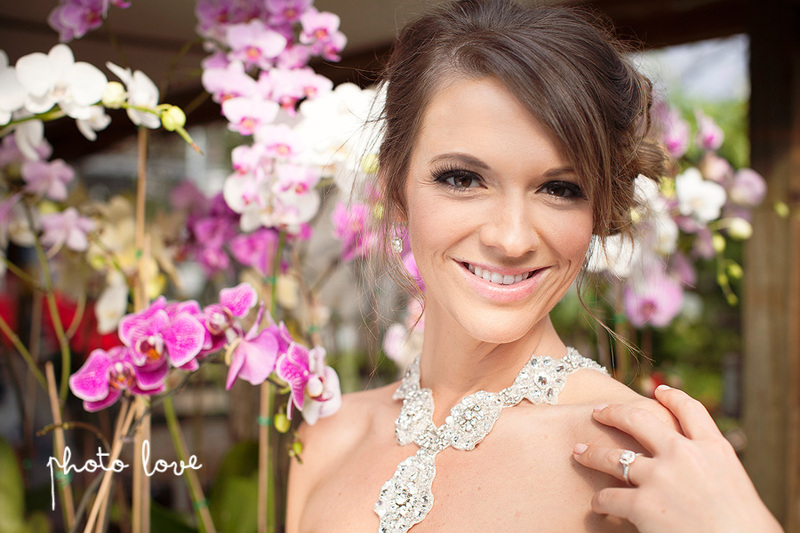 These gorgeous Bentonville bridal portraits were taken back in February. Cassie married her true love, Steve this past weekend so we can finally share these great photos with you! This was our first shoot at a greenhouse and we absolutely love the results! We were all a little nervous about getting dirt on Cassie's flawlessly white dress but we managed to get through the dirt without incident and breathed a simultaneous sigh of relief. Cassie and Steve's small intimate wedding was in St. Lucia on the beach. In Arkansas during February isn't exactly tropical and we wanted a location for her portraits that would match her beautiful wedding gown. This greenhouse was the perfect solution!